Creed star Michael B Jordan told Empire Magazine that playing the villain in the Black Panther movie took a lot out of him. 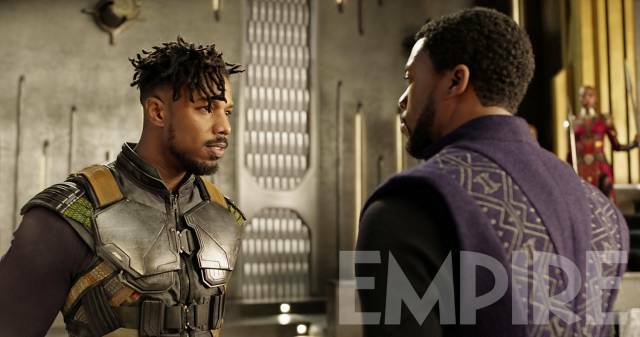 Jordan plays Erik Killmonger who wants to usurp the throne of T'Challa, AKA Black Panther, as king of the fictional African land of Wakanda. "It took me to a dark place," he told Empire Magazine. "Honestly, I can't really go through all I went through to get into it because I want to keep that close to me. But it stuck with me afterward." 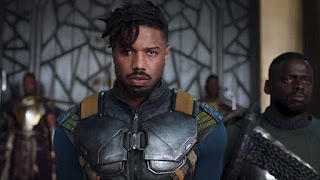 Michael B. Jordan is known for playing likable handsome heroes in movies like Creed and Fantastic Four, but playing the villain was unexpectedly hard for him. The main reason he took the role, besides working with Ryan Coogler again was that he was "getting tired of 'He's a good guy, a likable guy; he’s so nice.' " He wanted to challenge himself by playing a character outside his comfort zone. He told MTV he was a little worried about playing a villain "My only hesitation was playing a villain…It was always something that I’ve wanted to do. To play something completely different than any other character that I’ve ever played before. And under the right circumstances, this being it, you know. I feel safe. I feel safe to take those risks. Take those chances. That’s what I’m about to do." While he was unwilling to go into what he did for Empire he did talk about his preparation to Vogue Magazine. "I lived Erik for a long time," he told them. "I drank a lot. I grew my hair out. I grew my full beard. I walked around with a chip on my shoulder and had a short fuse for, like, nine months. I just didn’t care. People treated me totally differently. White people were definitely intimidated. I became their worst nightmare." This sounds similar to the Oscar-winning performance of Heath Ledger for the Joker in The Dark Knight Returns. Ledger "locked" himself away in a hotel room, making a bizarre character diary and experimenting with different voices and mannerisms. Looking back on the experience Michael B. Jordan has some regrets, but at the time said it felt good to get into that mindset. "I had an excuse not to worry about how somebody was going to take what I said," He added, "It was liberating." After explaining how hard it was to process the role he added that he has no regrets saying he "had a lot of fun on set" with co-star Chadwick Boseman who plays T'Challa. "Chadwick’s a very talented dude," Jordan continued. "There’s a lot of physical moments and action sequences throughout this film that cause us to really challenge ourselves, and also fall deeper into character." 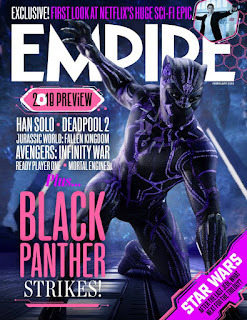 For those who aren't familiar, Black Panther is the name of the spiritual leader of the highly advanced fictional African nation of Wakanda. He first appeared in Captain America: Civil War. 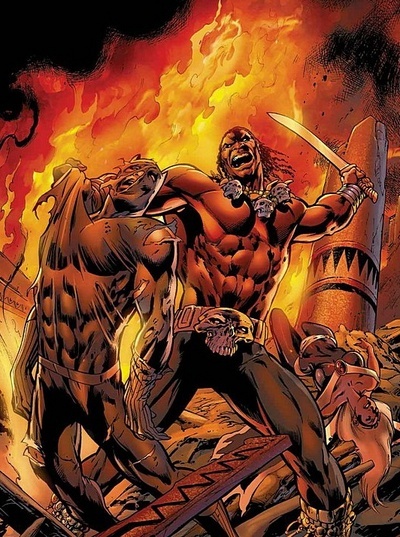 Erik Killmonger is one of Black Panther's oldest villains. 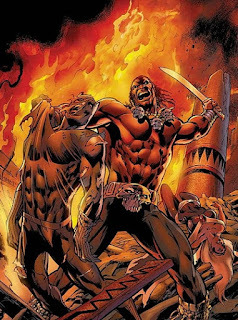 He first appeared in Jungle Action #6 back in 1973 and was created by Don McGregor and Rich Buckler. 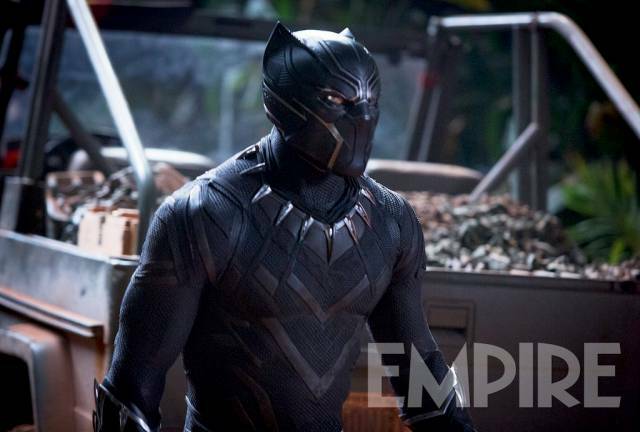 His real name is N'Jadaka and is a Wakandan exile who wants to overthrow T'Challa. Jordan told IGN that N'Jadaka is "very strategic, thoughtful. He's very patient. Very well skilled, trained to a T. He works very hard, and he feels what he's doing is right." Here are the cover and two photos released by the magazine. 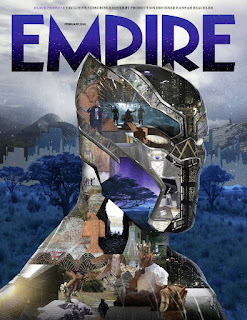 The subscriber cover was designed by production designer Hannah Beachler based on images Coogler sent her from his time writing in Africa. 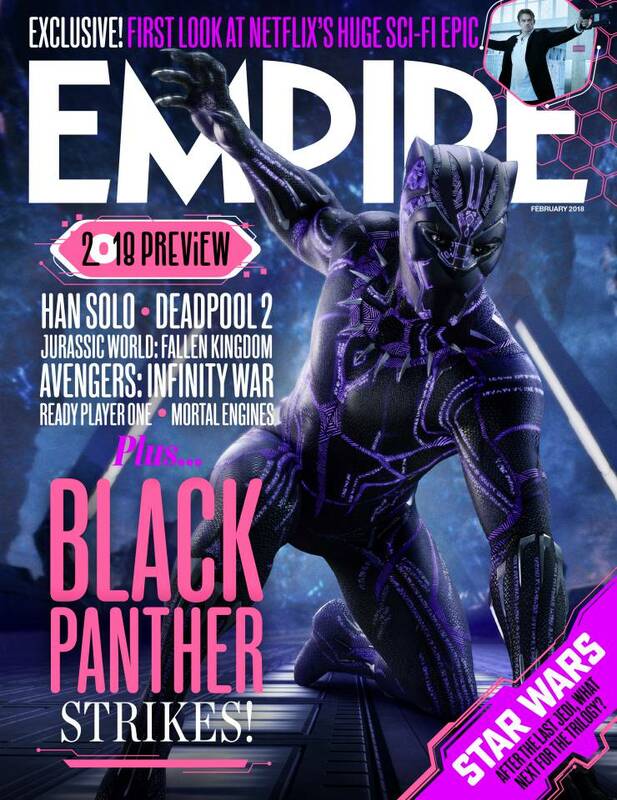 Empire Magazine's special issue is on sale tomorrow Thursday, December 28, 2017. 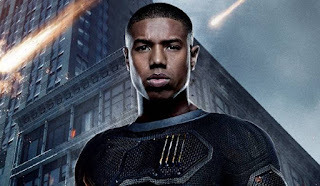 What do you think of Michael B. Jordan playing a villain?